These are the senior designers for the 36th Mom’s Weekend Annual Fashion Show. The theme for this year’s show is Emerge signifying how designers are emerging in their field. They all have different journeys but share one common interest, design. They are fueled with passion and ready to show their talent, vision, and creativity this April! As a student-run nonprofit organization, we are grateful for your sponsorship and support! Hanna is a senior, in the process of completing both design and merchandise while apart of the WSU Women’s Club Soccer team. She has been designing since she was 8. Her mom used to draw outlines of princesses for Hanna to draw her own outfits on. She also used to make clothes her for American Girl Dolls and Build-A-Bears from old clothes or scrap pieces of fabric on her time off from practice. 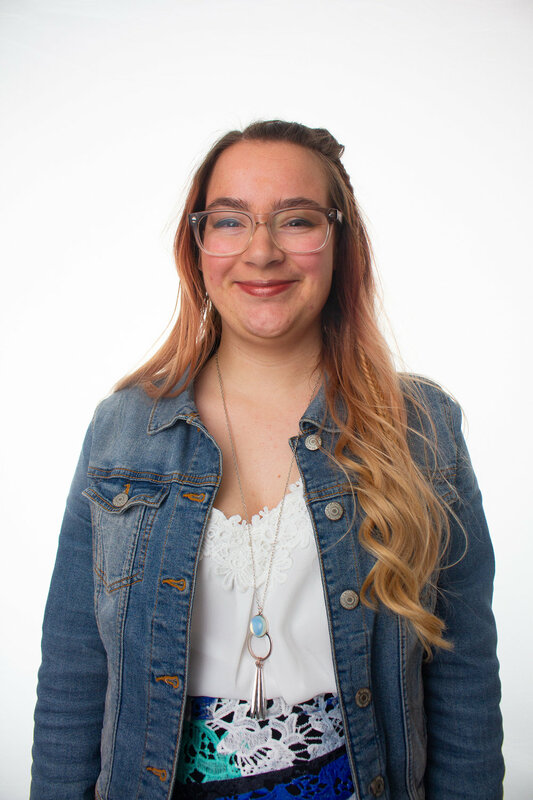 This summer she completed an internship at PacSun designing at their headquarters, as well as learned directly from designers in Florence, Italy during her semester abroad. She helped assist the design process for the winter ’18 and spring ’19 collections as well as pick out Pantones for some of the collections for the women’s department. This year, she will be working on a lingerie mixed with red carpet styled dresses, with a lot of black mesh and lace. This line is for that confident woman that aren’t afraid to show her sexiness and does not have a problem being the center of attention as well as does not take no for an answer. The inspiration for this line comes from her personal style and attitude. The collection will be mainly based around different black fabrics and showing off silhouettes. Hello! My name is Cassidy Robo and I’m originally from Helena, Montana. I’ve known that I have wanted to be a fashion designer since I was 6 years old (thanks to That’s So Raven). I’m passionate about sewing and altering my own clothes and someday I want to sell my own designs! I have a history in dance and last spring I had an internship at a theatre, so my dream job would be to become a costume designer for the performing arts. I would also love to work for a bridal or prom boutique! My final line is going to be formal styles that have marine inspirations from my zodiac sign: the Pisces. I’m getting married this April and after graduation I will be moving to Post Falls, Idaho. My name is Shilah Kane I am 22 years old and I am from Spokane WA. When I came to WSU I wanted to go into nursing and then changed my major to human development. I then took a class that was required for human development which was AMDT 210, into to textiles. I then changed my major to apparel design and merchandising because I loved the class so much. My final line is going to be bridal. I plan on making dresses that the bride would wear for all the different events she partakes in. Such as the bridal shower, bachelorette dress, and so on. I got the inspiration from my internship that I did this past summer. I worked in a bridal store in Coeur d Alene and I fell in love with the wedding industry. Trityca Anderson is from Tri-Cities (West Richland, WA), and will be graduating double certified in both Merchandising and Design. Trityca was married this past May to her husband, Spencer, and the process of planning her wedding solidified her decision to focus her senior collection on bridal wear. Trityca found inspiration from elements within the western United States, such as desert canyons, colors of lovebirds and sandy plains. Her designs feature a modest silhouette, neckline and sleeve length while retaining modern bridal trends. She believes sustainable, eco-Friendly design and textiles are the most important aspect to clothing, and her line has been produced exclusively through repurposing the material of donated formal wear as well as a selection of sustainable, natural fabrics and dyes. My name Kaylee Luera and I am a senior designer in the AMDT department. I am 21 years old and from Pleasanton, CA. I was born and raised in the Bay Area and came to WSU because I wanted to experience a new environment. I took my first sewing class in the Spring of 2017, as a sophomore, and did not know how to use a sewing machine. Ever since then I have taken almost every AMDT course offered in both design and merchandising. My collection this year is inspired by Haute Couture designers and my traveling experiences. My designs are inspired by the Big Four Fashion Capitals of the world, Paris, London, New York, and Milan, and also inspired by my personal experience traveling to each of these cities. After I graduate, my goal is to move to NYC and explore the couture side of the fashion industry. Jocelyn grew up in Livermore, California and has lived in the same house all her life. She enjoys designing special occasion clothing. Wedding garments are her favorite to design. She is inspired by everything from nature to any household object. For one of her garments she was inspired by construction work and used a ladder for the main source of inspiration. For her senior collection, she was inspired by the ocean and everything in it. Specifically by the calm and the storm of the sea, seashells, mermaids, and Fish netting. While growing up she enjoyed watching the show Say Yes to the Dress where she got the idea for underwater wedding attire. She has hopes of getting the internship at Kleinfelds in New York, which is the store featured in the show. Maria Wanner is a senior Apparel Design major at Washington State University and a student in WSU’s Honors College. She is a native of Hillsboro, Oregon and works as Costume Manager at the Regional Theater of the Palouse. Maria enjoys designing costumes, sewing, and writing poetry as avenues for creativity. In all of her creative endeavors, she explores deeper meanings that contribute to her experiences of life’s journey. In her words, creativity is learning to see the beauty that already exists but has yet to be revealed. Maria seeks to stir the soul with her creations. Encountering beauty and truth changes lives. Through her work, Maria desires to share the beauty and truth that give her life purpose with those who yearn to live life to its fullest. Danielle was born and raised in Cheney, Washington. She comes from a supportive family with the passionate souls of craftsmen. Her older siblings and parents were big influences in shaping who she has become today and her decision to become a designer. Her high school sewing teacher, Mrs. Urdhal, began Danielle’s passion for creation. Her clothing line was inspired by the strength of the self sufficient, working woman, who conquers her modern day roles. Danielle’s upbringing inspired the hope of enlightening working women and to remind them that they can work hard, play hard, look strong, and be beautiful doing it. 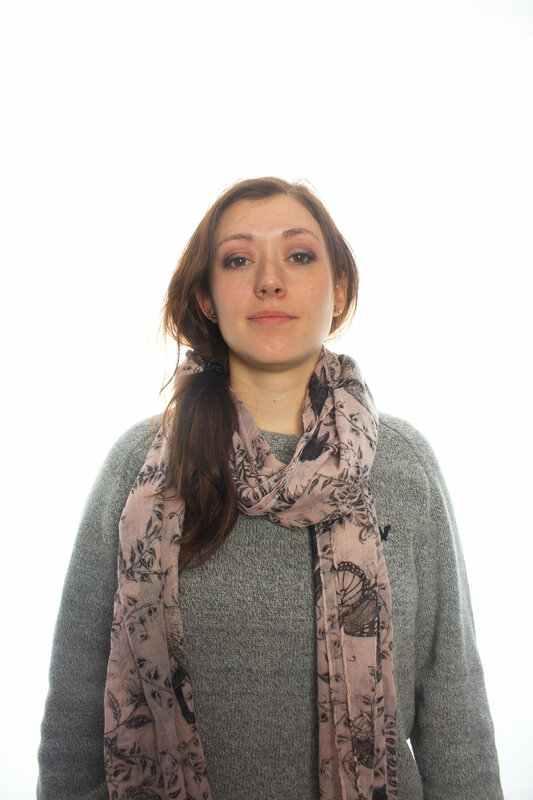 Macy is a 3rd year design student going to school pursuing a double degree in AMDT and DTC. Her artistic career started when she went to an arts middle and high school, which helped her discover her passion for creativity. As a third generation Coug, choosing WSU was an easy decision and the AMDT program showed a promising future. For her final collection she is inspired by confidence and women reclaiming their femininity. Her collection is for successful women that shatter the glass ceiling and create new standards for women and society. In her textiles, you’ll see motifs from the 18th century, 80’s pop, and ancient Greece. She hopes her consumers will be inspired to grow in their confidence and become truly empowered people. I’m from Mukilteo, Washington. Currently, I’m majoring in fashion design, minoring in Spanish. The title of my senior collection is The Modern Danse Macabre. AKA: The Modern Dance of Death. Its underlaying meaning, as morbid as the phrase may sound, strongly resonated with me in a beautiful way. The phrase ‘Danse Macabre’ derives from a French artistic genre of allegory thought up during the Late Middle Ages. Focusing on the universality of death: that no matter one's station in life, the Danse Macabre unites us all. As a fashion designer, I feel it shouldn’t matter gender, size, ethnicity: we’re all equal. Humanity should accept, then normalize, differences. Equalizing our differences doesn’t mean we need to change physically to look the same. It means accepting humans for who they are. Prejudice couldn’t possibly exist if we all treated each other with respect, as equals, no? Lupita Marroquin is from Othello, Washington. Around the same age as Lupita is now, her mother set out for a new life in this country. Lupita’s success comes from her mothers brave heart to give her children the opportunity to conquer anything! The collection is inspired from streetwear around the world. Coming from the northwest, Lupita’s traveled from California to New York, from Mexico to Spain. Lupita’s Spanish culture inspires the overall theme widely from Latino music such as Reggaeton as well as hip-hop and rap artists. Lupita personally designed most of the fabric patterns while the rest of the foreign fabrics came straight from Europe while interning abroad. Growing up, Lupita often shopped in the men’s section and would alter the garment to her style. It’s often hard to find the right type of clothing she’s looking for. She always stood out so she felt misfit, different from the rest. The principle is to mix men and women’s fashion together to create more designs to choose from.